Mooresville Arts Partnership will host a Holiday Party & Open House. Everyone is welcome. Bring your family and friends for Storytelling with the elves, a Holiday Dance Party, and Christmas Crafts for children and adults. Create a Glitter Christmas tree, snowflake art or make a handmade Christmas card for someone special. We’ll have Refreshments, Food, Door prizes and special surprises, too! The event is free and we would love to see you there! Just announced: Meet Jolly Bear for dancing and holiday fun. Never been to the MAP before? Saturday is the perfect day to visit. Tour the arts center, meet our teachers, and find out more about us. The MAP has several new programs that begin in January. Over 20 new classes have been added to our winter schedule for art, theater and dance. We have new music lessons available and YOGA will start in January! To celebrate we have several gift packages available at greatly discounted prices. You can give the gift of an Arts Education this Christmas. Children who participate in some form of fine arts activities perform better in school, develop creative thinking skills, enjoy enhanced concentration and a multitude of personal benefits including happiness, self-confidence, inventiveness and determination. For adults, a class at the MAP is the perfect outlet for creativity, personal growth and lifelong learning. Victorian Christmas is Saturday Dec. 4th! The 22nd Annual Victorian Christmas Celebration is fast approaching and the Mooresville Arts Partnership can't wait to host Fezziwigs Dance Party. The entire event includes free carriage rides, a trolley route, puppet shows, magicians, carolers and so much more. THE FESTIVITIES: This will be our first year joining the event as the Mooresville Arts Partnership and we have big plans. You will think you've stepped from the pages of a Christmas Carol and are attending the Christmas Party of Scrooge's boss Mr. Fezziwig. We have fantastic holiday music planned for the day. Entwyned, a wonderful string duet will kickoff our day with a bit of Sir Roger of Coverly. Our dancers will show you how to do a jig and join in the fun. 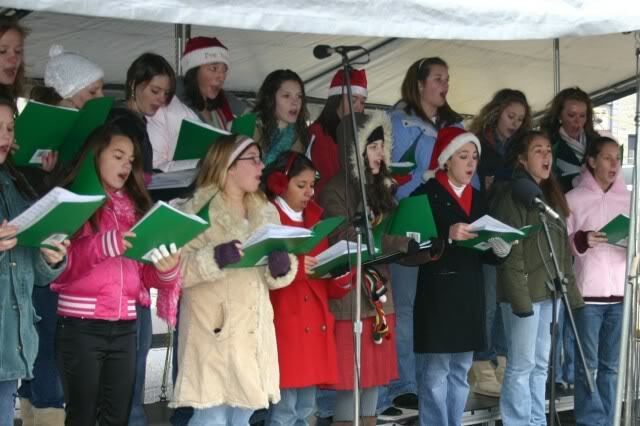 At Noon, the Irish troupe, Celtic Mist will perform on traditional instruments a wide variety of carols and tunes. CHRISTMAS GOODIES: You can also visit our Christmas workshop! During the month of December our windows will be filled with old fashioned ornaments, nutcrackers, and original artists ornaments. These items have been donated to the MAP and any proceeds from their sale will benefit the students and programs of Mooresville Arts Partnership. We'll also have some special Holiday package deals available for dance, art, music and drama classes. VICTORIAN TEA ROOM: Our Studio B/Drama Room will transform into a romantic Victorian Christmas Tea Room complete with sweet treats and refreshments. Wassail, Hot Teas and Treats will be available and our Victorian Era Staff will help make you holiday fun! Any donations will benefit the student fund.